I’ll be on tour for most of the month of April, signing copies of my new hardboiled Mulligan crime novel, A Scourge of Vipers, and talking to readers. Please come by to see me if I’m I a city near you.  April 9, 6:30 p.m., Mysterious Bookshop, 58 Warren Street, Manhattan, New York City. 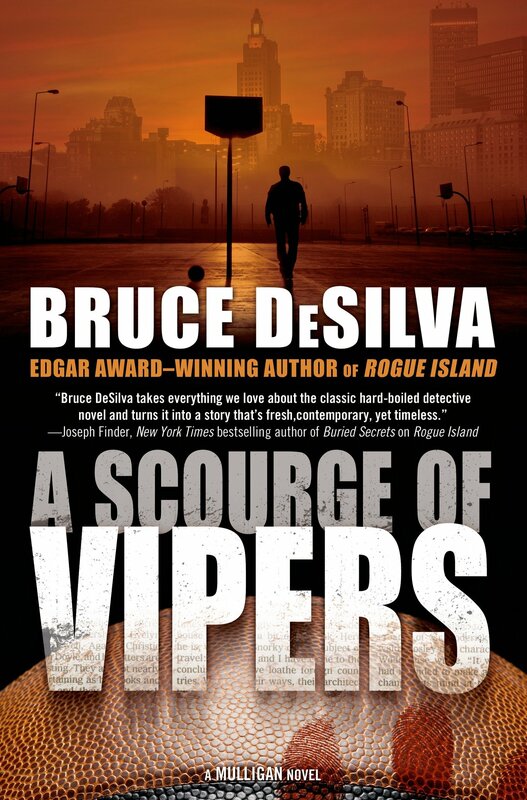 A Scourge of Vipers, the fourth novel in the Edgar Award-winning Mulligan series, has already received starred reviews from Publishers Weekly and Library Journal. It will officially go on sale April 7, but you can place advance orders here. This entry was posted in Uncategorized and tagged A Scourge of Vipers, Book Carnival, Bruce DeSilva, crime novel, edgar award, hardoiled, Library Journal, Mulligan, Murder By the Book, Mysterious Bookshop, Once Upon a Crime, Poisoned Pen, Providence Public Library, Publishers weekly, readmore books. Bookmark the permalink.